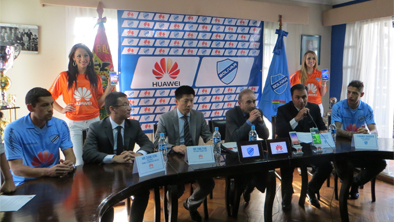 The Bolivar and Baisa SRL Club announced Huawei as its new title sponsor for the next two years. The Bolivar and Baisa SRL Club proudly announce the addition of its new title sponsor for the next two years: The world renowned technology brand HUAWEI. The press conference was celebrated at the offices of the Club and was attended by senior executives from the Chinese company as well as the Club and BAISA.